It’s probably worth mentioning, before we go any further, that this is a long story about some really nerdy beer. 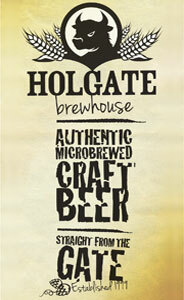 Specifically it concerns mixed culture fermentation, barrel ageing, blending and bottle conditioned wild ales. If that makes little sense right now, you won't be alone. But, if the subject is to be believed, beer is incidental to the story anyway. See you at the bottom. By most measures, to be a brewery requires brewing equipment: tools for dealing with boiling liquids and steeped grist. They are places where stainless steel cauldrons billow with steam and spew out spent grain. They are industrial, employing people with hard hands to wield shovels and dig out hot dregs. Topher Boehm works free of the threat of burns and calloused fingers. There is no steel kettle or mash tun in his Marrickville warehouse. In fact there is very little stainless steel at all; just two squat fermentation tanks, a kitchen sink and a few pieces of cutlery. He makes his beer differently. 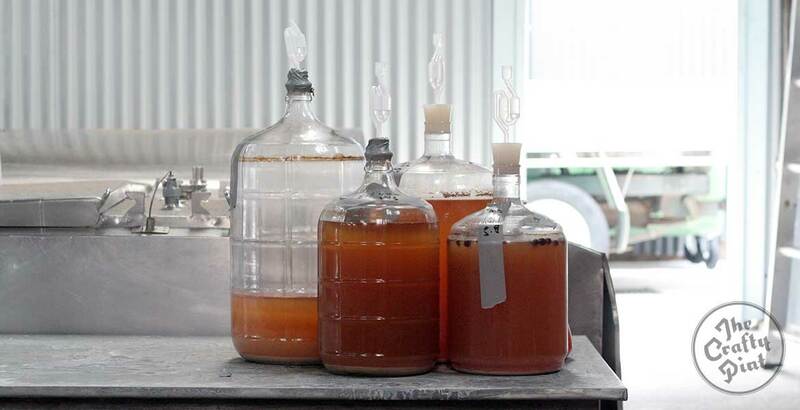 The unfermented base of his beer – the wort – is prepared at a nearby brewery. It is then driven to his warehouse and transferred into an atypical horizontal vessel where yeast is added and it ferments for a week. Were this a more generic beer at a more orthodox brewery, what emerges from the tank at that stage would, allowing for a period of maturation, be more or less ready to package and sell. But here it is still much closer to the start of the process, the fermentation acting as little more than large scale yeast collection for what lies ahead. And it is at this point where the process really begins to diverge from conventional breweries. What this place lacks in traditional tanks it makes up for in barrels. At the beginning of 2017, some months before an official opening, there were at least sixty of them stacked along one side of the space. With each individual barrel capable of holding more than two hundred litres of beer – roughly equivalent to four kegs – the total capacity is substantial. And there is plenty of room for more. It is into these barrels that the one-week-old beer is transferred where it will be left to condition and develop for a further eight to ten weeks. During that time, Topher will taste the contents of each barrel regularly and, with little more than his palate as a guide, blend the contents in varying quantities until he ends up with a finished beer that has the specific balance of flavours and characters he is seeking. In principle, blending beer is no more complicated than taking liquid from Barrel A and mixing it with the liquid in Barrel B to create Beer Z. It is simply a case of making the sum greater than the individual parts. However, the whole equation can be complex. 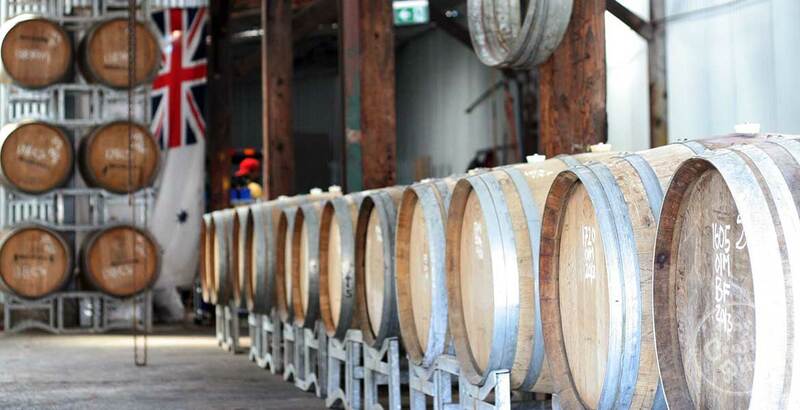 To start with, each barrel can be viewed as an individual incubator quite different to its neighbour – for example, some will have previously housed Pinot Noir, others Chardonnay – and, as a result, the wood will taint the beer with different residual flavours, or even organisms. Over time, as more barrels are filled, emptied and added, the ages of the liquids available for blending will expand and the flavours will change further. There are many other ways in which the beer can be affected: the surface area of liquid that is exposed to oak, the ambient temperature; perhaps Topher will catch a cold and not be able to judge the presence of certain phenolics. Then you must consider that a finished beer may not just be the result of blending Barrel A and Barrel B. 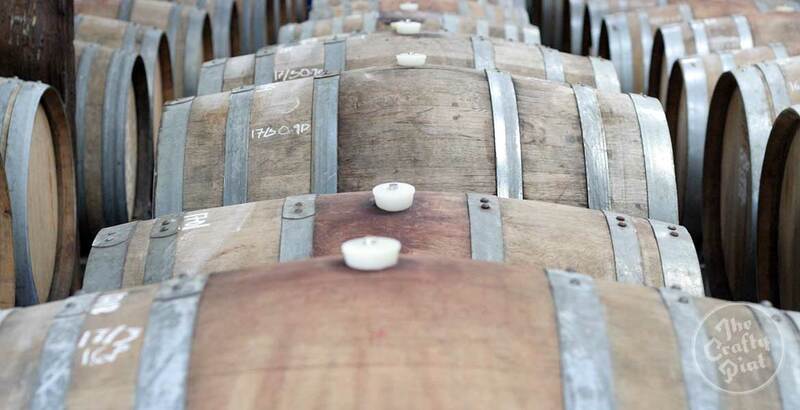 It may also have components of Barrel C, Barrel P and a bit of Barrel V. And, as more barrel stock is produced, the possibilities for blending become ever greater. This is a game only for the keenest players, ones who don’t mind running on a field that is constantly shifting. There is some part of this process that is impossible to capture and that, in part, is why he has chosen to call the business Wildflower. It is not, in strict terms, a brewery. Blendery seems most apt. “Fermentorium” has been suggested. Topher playfully proposes “Brewery découpage”. But whichever term you prefer to help paint the picture, the art and the artist remain the same. Topher came to brewing from space. Kind of. He was involved in astrophysics and big data analysis; supermassive voids versus supermassive clusters – just the usual stuff. While poking about in the infinite void of the universe has a certain appeal, in practice the work was analytical and repetitive. He began brewing commercially when he landed a job at Flat Rock Brew Cafe as its head brewer, a good gig as it offered the freedom to brew pretty well whatever he wanted, albeit on a tiny scale. When he left there it was to join another nascent Sydney brewery, Batch Brewing Co, which had been opened by some American compatriots. When he made the decision to leave Batch and go travelling overseas there was by no means any certainty that he would return to brewing. “About two months into a trip to Europe there was a point where I had to decide: do I continue with astrophysics, go back and do a PhD in that, or do I follow this other path?” says Topher. When one is considering whether to start a brewery, there can be few better places in which to ponder it than Europe, with its unparalleled brewing history and easy access to a diverse array of breweries. But there was one especially rich brewing area which had captured his attention, owing to a chance remark from his wife. They were drinking a bottle of noble hop saison from Jester King, the famed farmhouse brewery from his native Texas, and she commented that, while she always tolerated the beer he would make or bring home, this was the first beer she’d ever truly enjoyed. Bearing in mind this was after Topher had been a brewer for more than two years, working at two well loved local breweries, he would have reasonable grounds to be taken aback. But, rather than allowing pride to take a hit, he instead began looking into what made that particular beer special. “I started investigating the Franco-Belgian blend of styles and discovering the purpose of these beers,” says Topher. He dedicated most of the second half of 2015 towards working at different breweries, meeting brewers and – for lack of a less sinister description – discovering their secrets. And each brewer and brewery had something to share. One of the most significant was in France, working with Daniel Thiriez at Brasserie Thiriez. This is purportedly the origin of the 3711 French saison yeast, a strain central to the American saison movement, and Topher refers to Daniel as “the most influential brewer you’ve never heard of”. There is no question of his influence on Topher, starting with a more holistic view of brewing. Thiriez was almost a lesson in going slower. He gained an appreciation for step mashing, longer ferments, allowing yeast more time to work (all of the Thiriez beers at that point, no matter the style, used the same yeast strain) and the virtues of bottle conditioning. The whole experience seemed at odds with commercial demands and the rapid fire production lines of so many modern breweries. In this small French town, the process of making incredibly complex beers was underpinned by a quaint simplicity. “Daniel would go to his fermenters about once a week, fill some bottles, cap it and leave it for a week”, says Topher. After a few phone calls from Daniel, Topher found himself plugged into the community of brewers around the border. Over subsequent trips to France and Belgium to spend time with many of them, it became clear that not only was a balanced existence common among brewers, it might be personally achievable for him. “It was great sitting down with these people and talking about not only how they do things, but why,” he says. “These guys have been making beer for generations. They’re family brewers doing it to pay for their lives, not to make their lives about beer. That, for me, was huge. In Daniel Thiriez, Topher found a muse. 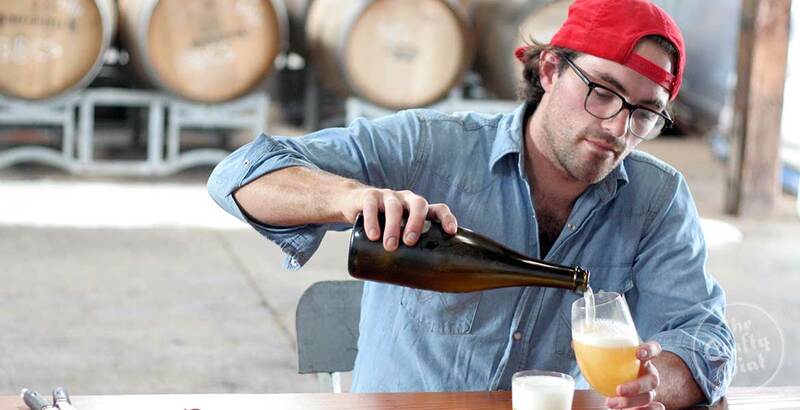 When he went home to Austin and dropped in for a spell of work at Jester King, he would be get insights into the methods used at the very brewery that had inadvertently set him down this path. The yeast Topher uses in his beer is the central part of what Wildflower is and will become. 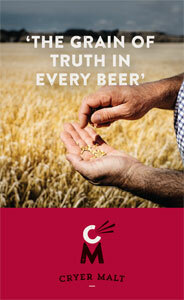 No other brewer in the world is using the same yeast. He can be reasonably confident in that because he’s the one that captured it. “It’s stuff I got from spontaneous captures in New South Wales, from flowers, bark – wherever. It’s definitely a slow process but I've been surprised by how positive the effects of wild capture are," he says. Despite the yeast strains having proven an ability to survive and even thrive at a small scale, that was no guarantee of commercial viability. “It seems self evident but the culture really surprised me when scaling up that it’s become its own beast again. It’s gone differently, but not negatively – there aren't ill effects to what it’s done. It’s just different, and that’s absolutely part of what we’re doing,” he says. If and when a yeast does not give him the characters he is desiring, it is not immediately discarded. He will instead attempt to manipulate it, to promote the good parts and mask the perceived faults. It takes some doing, managing a living workforce of billions, but Topher explains the general process by way of an example garnered from Jester King. “Their yeast culture, over time, gets IBU [International Bitterness Unit, a 100 point scale of bitterness] tolerant, so you get 35 IBU beer that sours very quickly – the culture gets stronger and stronger. In other words, it is a constant but assisted evolution. When there is too much of one thing, something else is added to balance it out. Over time, through trial and error, the undesired characters are effectively bred out. There is a lot of guesswork and Topher is quite prepared for failure along the way. “Because the culture is wild it’s going to be doing its own thing, so I’m prepared to accept drift,” he says. It is quite a different approach to many breweries, where much of the emphasis goes on the grain and hops while a yeast is chosen for its ability to ferment the beer efficiently and with a minimum of fuss. At Wildflower the beer exists to serve the yeast. “The yeast is my primary ingredient and the wort you give it is a way for it to express itself,” says Topher. With the wild yeasts and the constant blending, there is an element of magic to all of this. 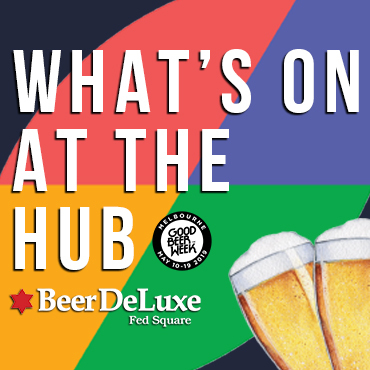 And while Topher is keen to share the story about the beers – and for people to understand what he is trying to do it is crucial for him to do so – there are things happening here that even he does not care to know too much about. It’s understandable. No one wants to be responsible for killing the magic. 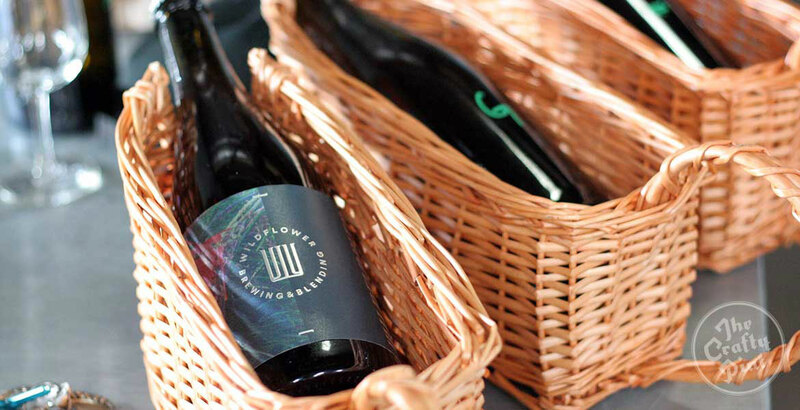 With all the possibilities contained within Wildflower’s barrels, there is potential for an endless stream of new beers, and some quite extreme ones at that. But being the most prolific or crazy is quite the opposite of what Topher is aiming to be. “We’ll be calling them Australian Wild Ales but the beers I’m making, number one, are approachable,” he says. “I feel that what we’ll present, given no explanation, is something anyone can enjoy. The flavour characteristics – high carbonation, the bitterness, light malt – if you were to put those on a scale and take out what you know about the production of the beer, are closer to something like a pilsner. The plan is to have just three core beers derived from three different streams of wort: a golden, an amber and a table beer, the last of which will only be available at Wildflower's venue in Marrickville, an old industrial unit with enough of the fittings from its previous life in place to stir reminiscences of the old European breweries with whom Topher is enamoured. The first two will form the main crux of the blending program, undergoing a minimum of eight weeks maturation in oak (the reason, Topher says, is that they present very “funky” characters straight out of the fermenter and time spent in oak helps round out the flavours) before being bottle conditioned for a further four weeks. The total time designated for conditioning is no arbitrary figure – it mirrors the process at Brasserie Thiriez. The exception to this timetable is the table beer which will not go into barrel as it is a style Topher says is simple and traditionally drunk fresh. 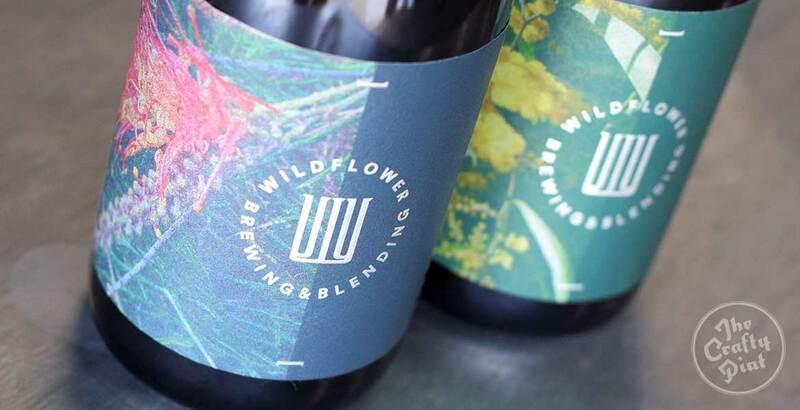 Wildflower beers will not be packaged brew by brew. It will be done blend by blend, with each run having a mixture of aged stock in order to promote a continuity of the yeast and a gradual development of the beer. The plan for most of 2017 is to package only half of what comes into the fermenter; in other words, if 1200 litres arrives, only 600 litres will be bottled, which will allow for a reserve of stock to be built up. That, in turn, will allow for what Topher refers to as “découpage”, or “cutting” of the beer: mixing old and new, with the results becoming increasingly esoteric as they age and develop. 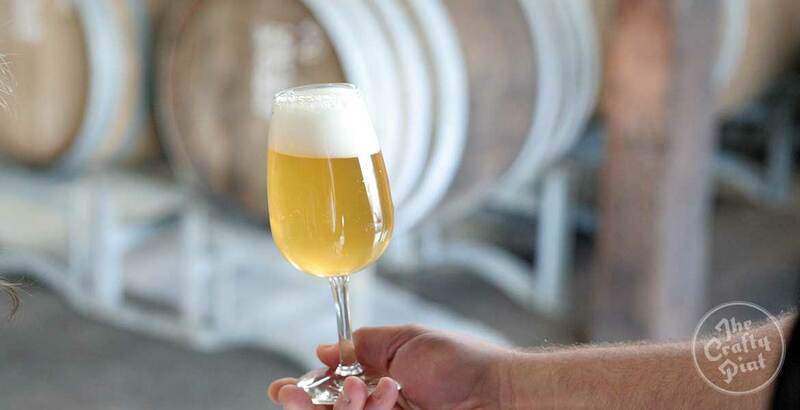 When it comes to deciding on what a particular blend will be comprised of, it will be a case of looking at the barrel stock and figuring out what is the best beer that can be made from what is at hand. If there is a barrel that warrants releasing on its own then that will happen, but the emphasis is on blending. There is no getting around the fact that making beer this way is a far cry from how the vast majority of Australians view beer and brewing. 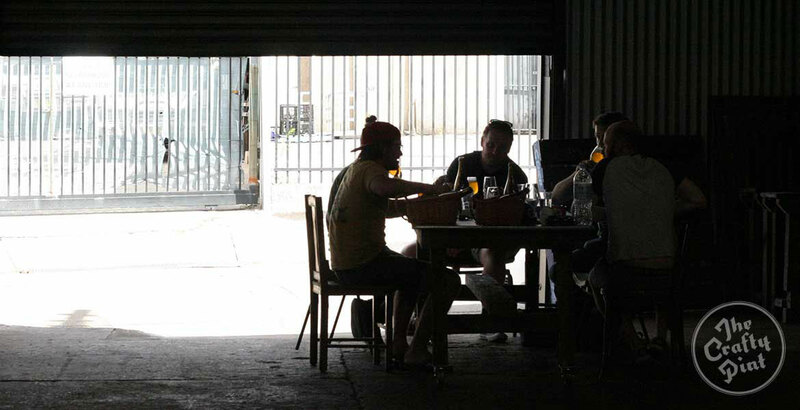 There are few others in the country doing this at any scale – let alone as their sole focus – so it lends itself to being viewed somewhere between peak hipster and beer elitist. Topher’s toughest job may therefore not be wrangling wild yeast. It may be convincing regular folks that he is not a pompous wanker and that, despite everything, he’d actually prefer it if you didn't pay much attention to the beer. “I really don’t want this to be pretentious at all,” he says. “The first time you have our beer, I’d love you to have it from a glass. After that, neck it from the bottle for all I care. At the end of the day, it’s just beer. "The purpose of what we make and the industry is to get people together. When the conversation is about the beer and not around the beer, you've lost something. If it’s too assertive or too aggressive in some way that forces the conversation to be about that, you’ve done something wrong. “The hypocritical part is here I go making some mixed culture fermented, barrel aged, blended, bottle conditioned wild ale – I’m making the most BuzzFeed beer you can get! But the only way I felt I could help this industry grow in a different way was to do something so on the edge, the pointy end, that it pulls everyone to the bottom. The longer you speak to Topher the more you get the impression that he views Wildflower as being part of something much more than just a place where beer is made. It is about the history and lineage of the craft and the people that connect it all together, whether that be the owners at Flat Rock and Batch who gave him a start in brewing, the many brewers and their families in Europe who took hours out of their lives to share their methods, or the likes of Brasserie Thiriez, Jester King and London’s Partizan Brewing that gave him firsthand experience brewing a little beyond the edge of convention. “I feel like I've been entrusted with knowledge,” he says. “There’s not a lot of people doing what we’re doing. I feel like the closest is Ashley [Huntington of Tasmania’s Two Metre Tall], so I want it to be that if there are any aspiring brewers or breweries that want to start something like this, they can know I’ve worked at some great breweries learning about their methods, so let’s talk. I’m not the be all and end all, but maybe I can help troubleshoot. “And I want to be vocal about our failures. Three weeks ago, there was a skunkiness in the beer and I thought, ‘We’re fucked. We’ve got nothing to sell.’ Thankfully that’s been disappearing, but I’m not going to be shy about that. "If I don’t have beer to sell there’s a reason for that so people should know. I want people to know how much others have failed and want to talk about it, and know how I've failed, and how within those failures there are accidental successes. Wildflower expects to be open to the public in the coming weeks. Prior to that, Topher has offered to host a tour and tasting for Crafty Pint supporters who have signed up to The Crafty Cabal. Details coming soon.